In Helsinki, the sea is always near. The city is surrounded by over 300 islands which attract visitors from near and far. You can get to know the archipelago and the coastal region on a scenic cruise or even a regular ferry! Suomenlinna is the best known of Helsinki's islands, and it is included in the UNESCO world heritage list. Regular ferry traffic takes you easily for a day trip to see the fortress and the magnificent scenery on the island. The ferry trip alone is an experience and a scenic cruise. You can experience Suomenlinna any time of the year. Do what the locals do and bring a picnic and head for one of Helsinki’s many islands. Seurasaari, Pihlajasaari, Uunisaari, Lonna and the novelty of 2016, Vallisaari, next to Suomenlinna. Many of the islands also have restaurants, where you can enjoy sea views and delicious food served at the table. There are almost 20 water traffic routes in Helsinki. 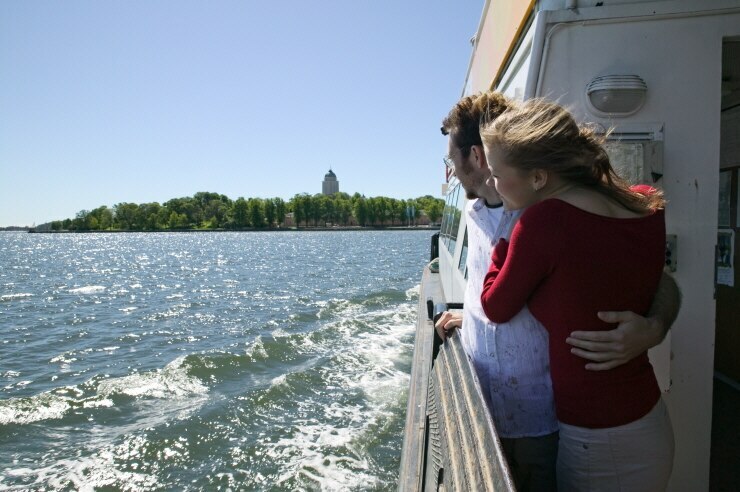 From Hakaniementori you can take a boat in the summer to Korkeasaari Zoo or to Aurinkolahti in eastern Helsinki. From the Market Square you can head for Suomenlinna and the other nearby islands or take a scenic cruise or a regular trip in many directions! Our hotels in Helsinki are situated in the best locations in the city. From them, it’s easy to head for a day out in the archipelago.